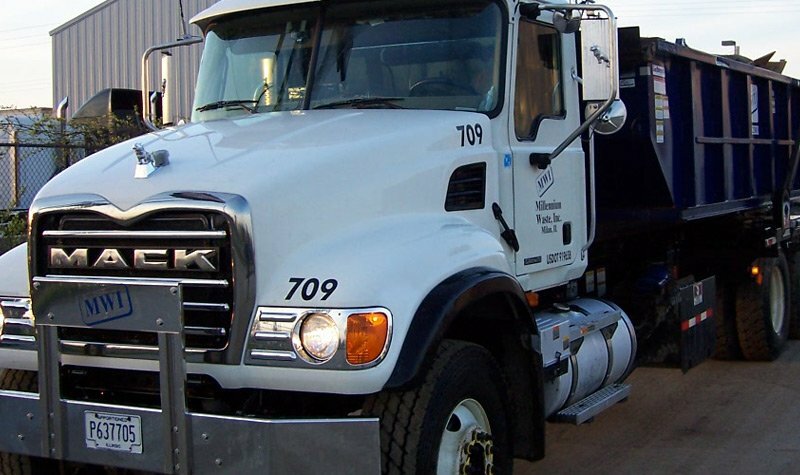 Keep your job sites in Davenport, Bettendorf, Moline, Muscatine and Rock Island and throughout our service area running smoothly from start to completion with Millennium Waste's timely construction roll off dumpster services. Millennium Waste is committed to helping with all of your Quad Cities construction waste disposal needs, from large commercial sites and demolitions to smaller home renovation projects. We offer a variety of roll-off dumpster sizes and options to keep your site cleaner, safer and more manageable. We can set up a regular pick-up schedule, or simply call us when you need your dumpster emptied. Our customer service team will help you determine the right roll-off container size for your project and the pickup schedule you need for the job. We offer competitive pricing and a variety of dumpster and roll-off sizes to ensure your waste collection needs are met quickly and efficiently. Roll-off dumpster collection is available Monday-Friday. Saturday pick ups by request. so that we can help you manage your waste effectively. Concrete, cement, brick, stone, etc. to set up your waste pickup.